We love the world of photography, but we especially love supporting up-and-coming photographers in the industry. 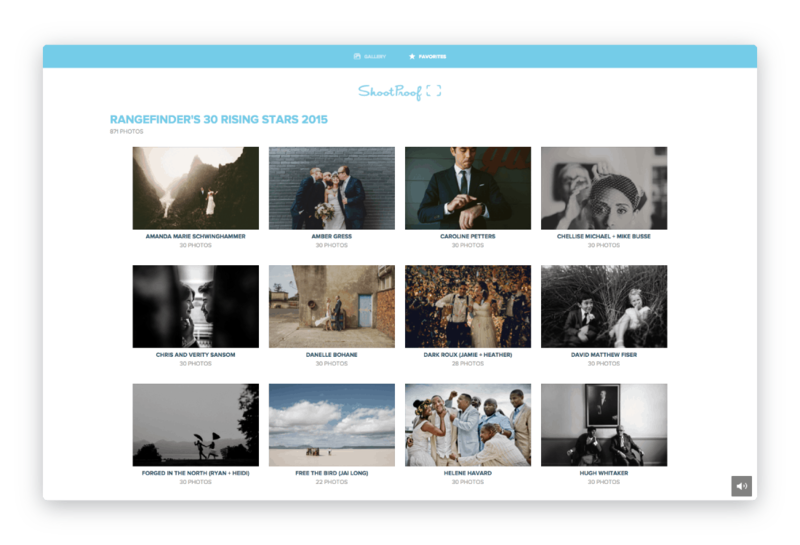 That’s why there’s a special kind of excitement in the air today: it’s the day we get to share the official 2015 gallery of Rangefinder’s 30 Rising Stars of Wedding Photography! These photographers’ names are certainly ones you’ll hear more about in the future. Their technical abilities and final images set them apart from others in the wedding photography industry, and we are eager to share them with you. Visit the official gallery, and let us know why you love the work of these bright and talented artists. See Rangefinder’s announcement on the WPPI blog with links to each photographer’s website. Ready to create your own galleries? Sign up for a free ShootProof account, and use promo code RANGEFINDER30 for 30% off your first year! Comment below: What do you love most about this year’s 30 Rising Stars’ images?